Today I’d like to share another sympathy card I made, but it could easily be used for a different occasion. Just change the sentiment – it could even be Christmas! It’s an easy technique using Masking and Sponge Brayer card. It’s so quick that you could make multiples of these in one sitting. 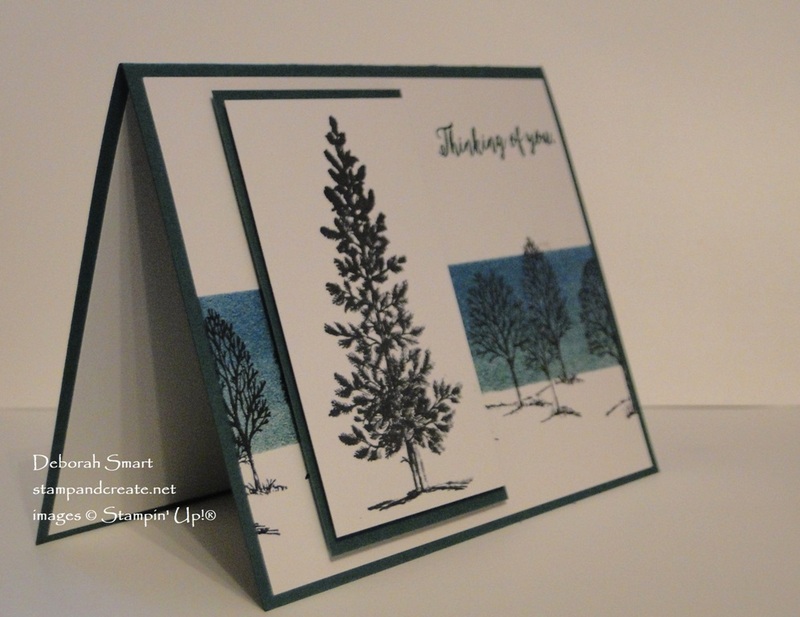 Yes – it’s the long lived Lovely as a Tree stamp set! I remember when Shelli Gardner, Stampin’ Up! co-founder and Board Member said that this stamp set will never retire, as long as she is part of Stampin’ Up! This iconic set can be used for any season, or reason – so I’m quite happy that it’s still available! The first thing you need to do for the large panel is create your mask on your Whisper White cardstock panel. Using our Grid Paper is perfect for this – you can line up your cardstock panel and masking tool with the grid on the paper. I use the large Post-it Notes to create my mask; it’s about 2″ wide. Next, use your Sponge Brayer and ink pad. To ink up your Brayer, it’s important to roll the brayer in one direction only – don’t go back-and-forth, as that will only heavily ink 1 part of the brayer. I like to roll my brayer forward several times to pick up the ink. First I used the Tranquil Tide ink pad, and rolled it across the bottom 1/2 of the masked area. Again – only roll the brayer in 1 direction (forward usually makes sense), so that you don’t get hard lines. And remember – it’s easy to add more ink, but once it’s on, you can’t take it away! So it’s best to start light, then add layers. This also gives more depth. The next colour I used is Night of Navy, added to the top 1/2 of the masked area. Make sure that you overlap the 2 inks, so there’s no hard definition line. Once finished with your brayer, remove the masking, and you’re ready to stamp! I first stamped the line of trees in Memento Tuxedo Black ink in the middle of the Whisper White panel. Then, I stamped again on each end, to fill the blank areas with trees. After that, I stamped the single large tree image onto a panel of Whisper White, and layered it onto a panel of Night of Navy cardstock. 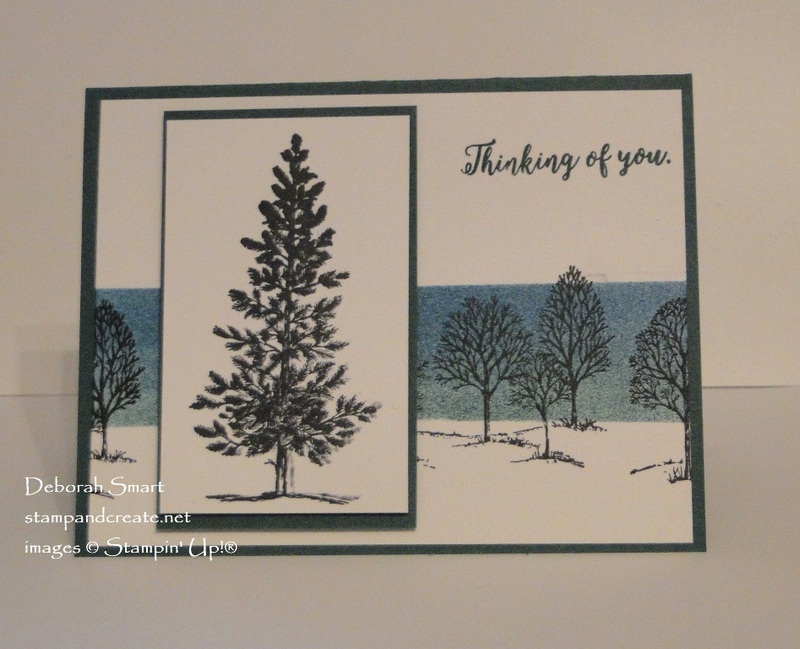 The sentiment, from the Colorful Seasons stamp set, is stamped ink Night of Navy ink in the upper right hand corner. I forgot to take a picture of the inside, but I did stamp a sentiment! If you don’t already have it – of course you can still get the Lovely as a Tree stamp set! For that, and the other products I used on this card, click on the images or my signature below. 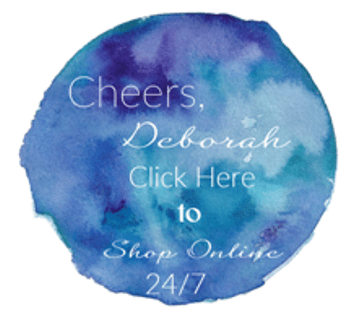 You can shop at my online store 24/7, so whenever it’s convenient for you! Previous Previous post: It’s a Bird, No It’s a Plane – No it’s a STAMPARATUS! Nice card! I love that stamp set and will never get rid of it. This is a beautiful card and still one of my favorite stamp sets!